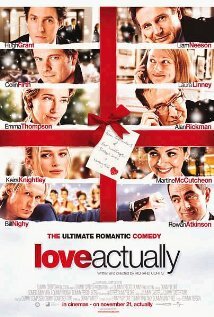 Love Actually Is the Least Romantic Film of All Time, courtesy of The Atlantic: This piece, ostensibly pegged to the movie’s tenth anniversary, argues vehemently against a perfectly harmless romantic comedy. From ten years ago. There’s a defensiveness to it from the beginning, making the case that this is an important discussion to have because it has “been gradually reevaluated and granted the status of a ‘classic’ holiday film.” Okay, except that almost every film about the holidays gets a bump from its mere association with said holiday. In other words: Our many, many cable channels wish to show seasonal movies. Associate yours with one and if its remotely watchable, it’s all but guaranteed an annual spot at least somewhere on the dial. Networks will then promote it as a “holiday classic.” That will seem fine because it gives people a warm, holiday-ish feeling and shows up at the same time every year. And since this movie is a perfectly enjoyable one—certainly better than the millions of all-star-cast knockoffs we’ve gotten since, like New Year’s Day—this is fine. I can’t tell you, in fact, how many times I’ve muttered “It’s fine” with surprising passion while reading bizarrely intense take-downs of pop cultural artifacts I would have barely given another thought. Miley Cyrus, Kanye West, random decent ten-year-old movies? They’re all fine. Ignore them if you don’t like them. Let’s move on. ‘Rudolph the Red-Nosed Reindeer’ Is a Terrible, Terrible Song: You Know It’s About Bullying, Right?, courtesy of The New Republic: Wherein it is argued that the holiday tune teaches children something very bad. What? I’m not actually sure. The writer urges me to read the lyrics, but I’m pretty familiar with them. The main beef here seems to be that Rudolph is bullied until he proves “his economic utility,” and that even after that, the other reindeer do not apologize to him. It’s likely meant as a satire on a pop culture think piece, but I’m not sure it’s completely clear here. (Some other time, we can argue about the role of clarity in deadpan satire.) In its defense, this would be a perfect piece in The Onion. Instead of reading any of these, do yourself a favor and read Grantland writer Rembert Browne’s great piece about reconsidering R. Kelly fandom in the wake of new discussions about the sexual assault allegations against him. And honestly, his Beyonce piece is a fun read, too. Seriously.